April and Chuck are fresh home from a trip to Windsor and they brought back some drinkable souvenirs! Windsor is Canada's southernmost city and directly across the river from Detroit, Michigan. It is a major contributor to Canada's automotive industry and has a unique history with alcohol production/sales with the US. We need to find just the right host for our new hit show, Brewery Makeover. Someone who has enough brewery experience but also lots of rage..
We have ongoing issues with the pronounciation. Put to be fair - Canada does say CARE-A-MEL. If you were wondering what TV show I was referencing it was The Wire. All I've learned from life comes from TV. Windsor Craft Beer Festival takes place on October 13 and 14, 2017. What's an India Pale Lager? Back before there were podcasts we used to bog about beer. 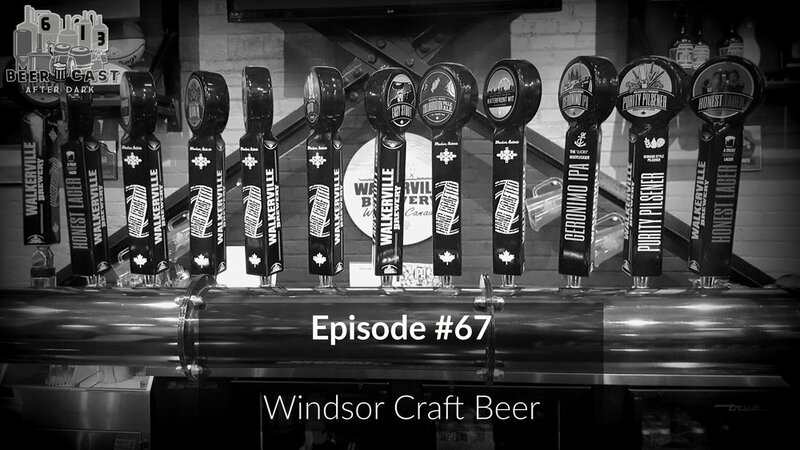 Read April's blog entry about the Windsor Craft Beer Festival from 2013. Ford has a big history in Windsor - dating back to 1904. Brewery shout outs: Midian Brewing, GL Heritage Brewing Company, Sons of Kent Brewing Company, Brew Microbrewery. The BevMap at Ontario Beverage Network. Windsor-Essex: Barrels, Bottles and Brews.